I always like the sight of prototype cars, as these vehicles carry a rather futuristic outlook, which is simply mind-boggling. And quite frankly speaking, not all prototype cars would make it into mass production, as the concept might be simply too advance, too costly to manufacture, or perhaps not practical for this time of age itself. Nevertheless, if looks like Mercedes is in fact working on yet another prototype car that looks like have been beamed back from the future – exactly 20 years ahead of our time. 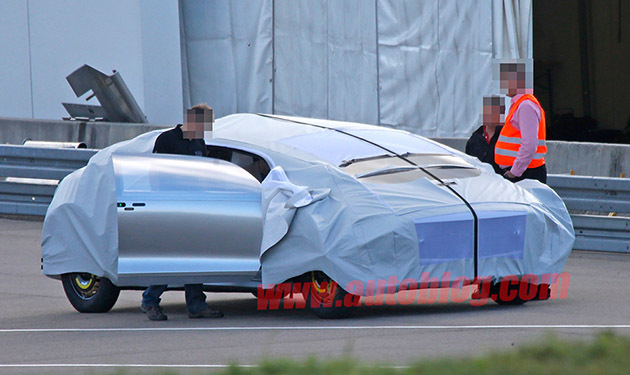 The photo suggests that the car might be a full electric vehicle, and the rather strange and odd-looking shape might suggest that it has extremely good aerodynamics, giving it extreme mileage. Apparently, Mercedes’ CEO, Dr. Dieter Zetsch, will deliver his CES 2015 keynote, and high chances are, he might also unveil the respective vehicle to the public. The bass guitar is one of the easiest musical instruments that I have ever played in my lifetime, whereby the bass would require you to strum on individual notes, rather than chords like the ordinary guitar counterpart. Nevertheless, I’m actually shopping for a bass guitar as my Christmas present, and after browsing the internet for a couple of hours, it looks like I have fixed my choice to the Lakland Bass. The respective bass guitar offers superior playability, and according to reviewers, the respective guitar has a sturdy built too. Although the Lakland Bass might be priced in the mid-range section, I’m pretty sure the money is well spent due to the superior playability of the guitar.